Have boring pencils? 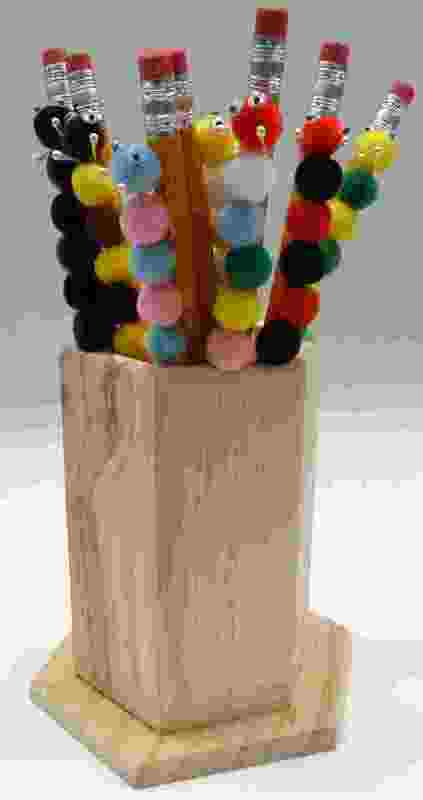 How about making some pencil caterpillars? This is an easy one, but there are some points where you have to wait for the glue to dry. 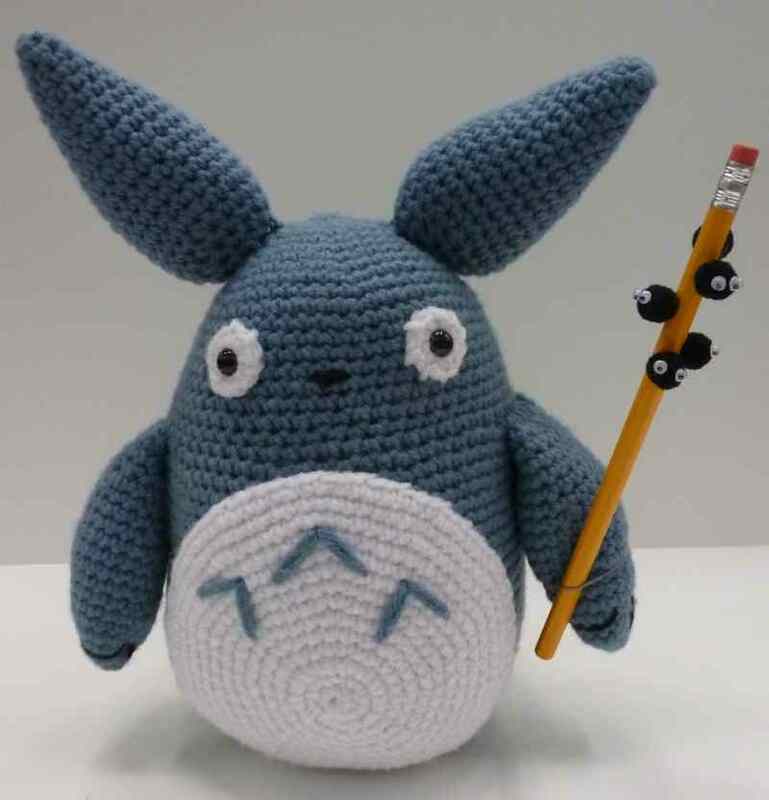 The pencils with six flat sides work better than the round ones because they’ll sit flat when you set them down in between steps to dry. Each caterpillar uses one pencil, five or six pom-poms, two eyes and one stamen. 1. 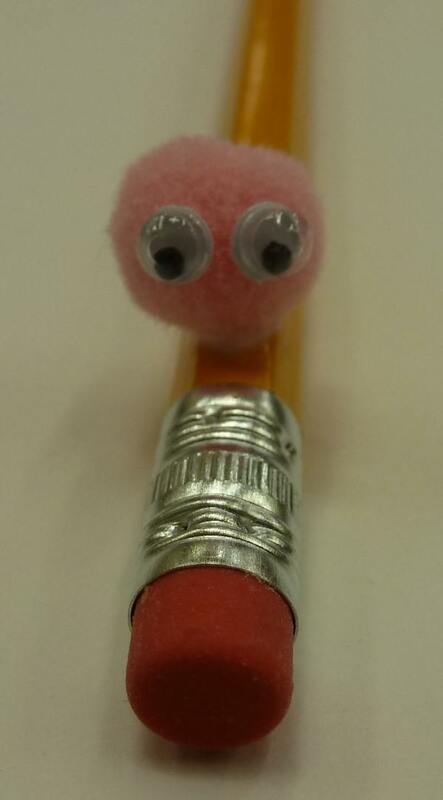 Dot some glue on the pencil, right below the metal part and attach the first pom-pom (This will be the head). Let dry. 2. 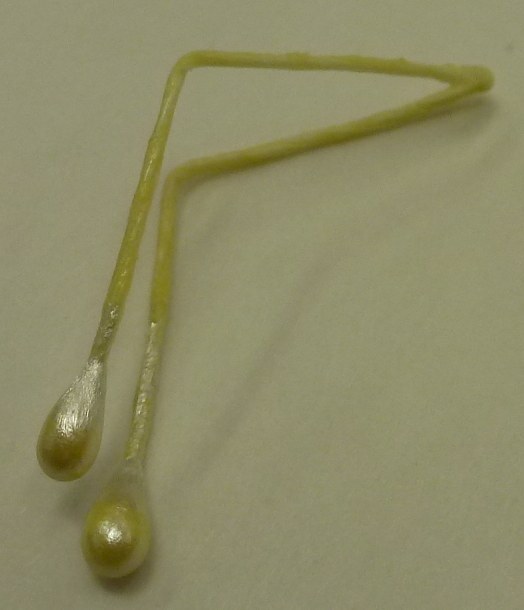 Make two tiny dots of glue on the front of the head (You may wish to dot it on with a toothpick). Attach eyes. 3. Now we’re going to bend the stamen to make the antennae. Bend the stamen in half. 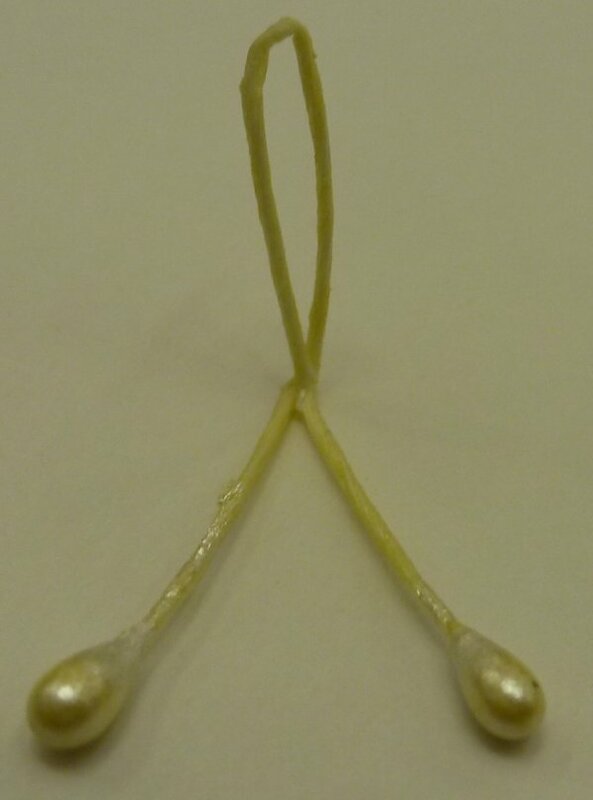 Bend the stamen in half the other way, to make an ‘L’. Cross the two ends at the second bend. 4. Dot some glue behind the head and attach the antennae. You may need to hold this for a moment until the glue starts to set up. Let dry. 5. 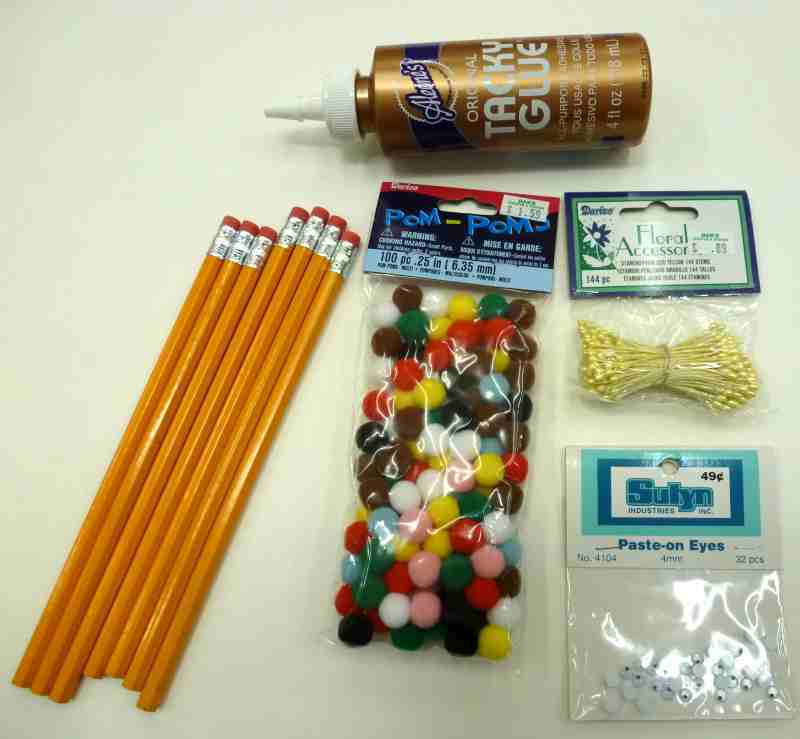 Run a line of glue from the back of the head and down the pencil for about two inches. Attach the rest of the pom-poms. Apply more glue if necessary to get all the pom-poms on. Let dry. All done! 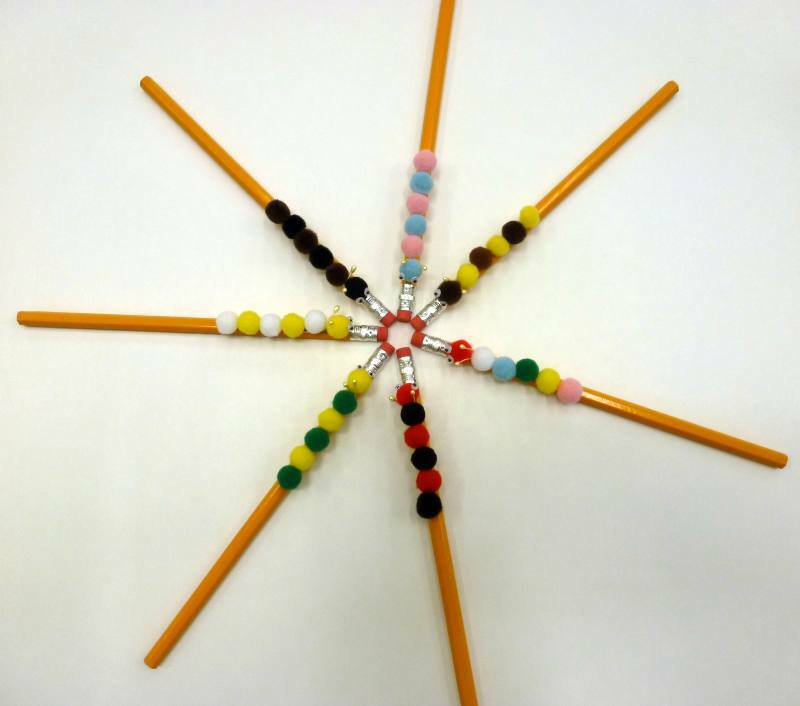 Now you can make a whole bunch of pencil caterpillars to liven up your boring pencils! 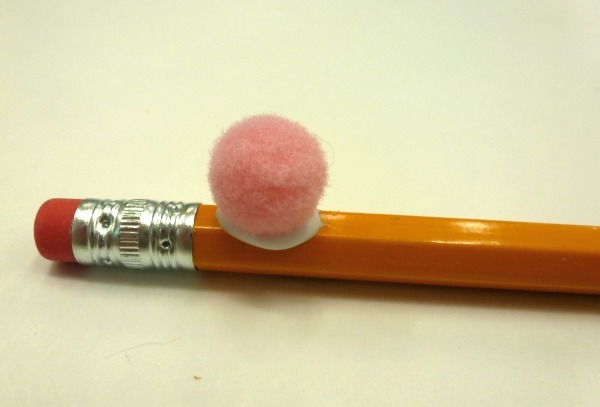 As both of these variations involve putting pom-poms on multiple sides of the pencil, I just stuck the pencil into a piece of Styrofoam to hold it upright while the glue dried. 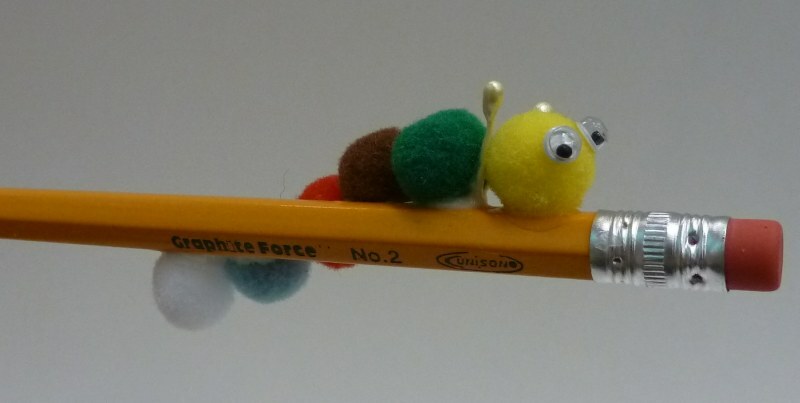 You can make the caterpillar look like he’s crawling around the pencil by curving the glue line around the pencil, instead of putting it on in a straight line. A soot sprite pencil would make a fun gift for an anime fan or your neighbor Totoro. 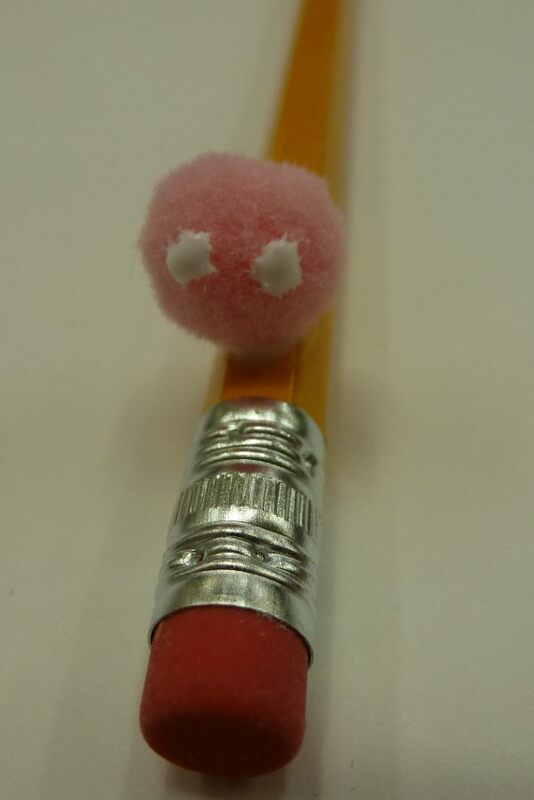 Glue black pom poms randomly around the pencil. When the glue is dry, apply eyes as in step 2. Don’t miss a single riveting tutorial! Bookmark our tutorial page and check back on Tuesdays for new ones. Is there a tutorial you want to see? Leave a comment!